Photos: © High Desert Media. All rights reserved. All images are protected by copyright and may not be copied or reproduced without written permission. This event is scheduled to ride primarily on paved surfaces of varying conditions. Some short distance unpaved segments can also be expected however all easily navigated by experienced touring enthusiasts. This is not a tour for a new or novice rider. Traffic travels on the left side of the road, a condition easily adapted to in a short period of time. This tour should be considered an adventure however well suited for couples or singles with ample space available in the support vehicle for non-riding participants. Tour runs during ideal climate conditions for the region. Early reservations are required. The royal palaces of the maharajas are more than historical monuments. Almost every night they are your home, regal and spacious accommodations with fine services fit for kings and queens. Doing it in style. The 15th-century fortress of Mehrangarh in Jodhpur is but one of many giant walled forts in Rajasthan, a piece of history that begs to be explored. 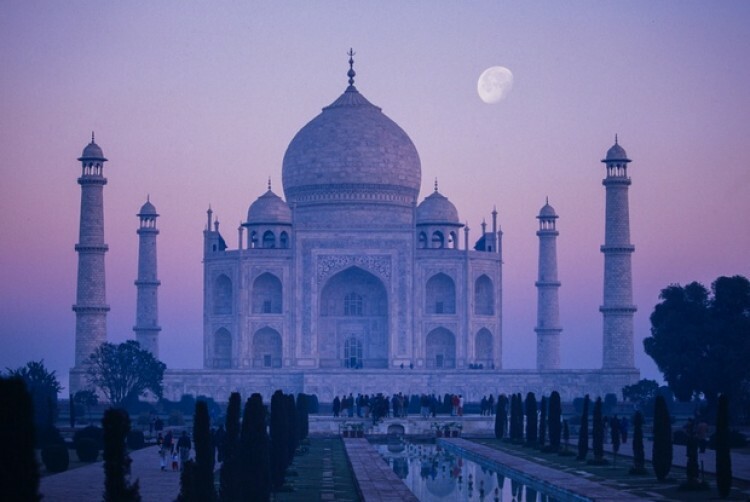 Taj Mahal, one of the great seven wonders of the world, a monument of one man’s passionate love for a woman. Count this as a must on your bucket list. Cuisine. A culinary adventure that becomes a highlight of the event. You won’t find beef but as the dishes of finely spiced curries, seasoned vegetables, lamb, and chicken are served complimented by nan bread hot out of a wood fired oven, you will discover the food of India to be one of its most notable treasures. The Royal Enfield motorcycle. It is primitive, highly utilitarian, ample in power and performance and a blast to ride. 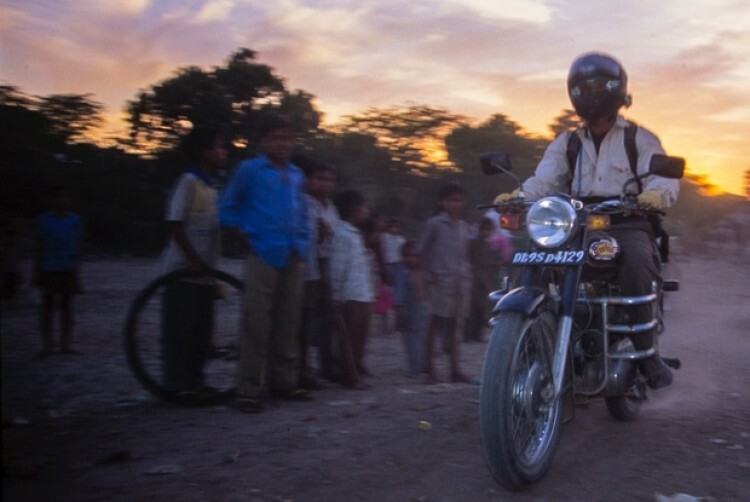 We consider the 500 cc Enfield Bullet as the perfect bike for India. The Ranthambhore Tiger Reserve is a 392 square kilometer rugged range of mountains and valleys. It may take some effort however we arrange 4X4 safaris to seek them out. There are believed to be roughly 60 tigers here. Sighting just one will be a treasure to remember. TheBharatpur Bird Sanctuary. Even if you are not a “bird person” by the end of this excursion you will be. The habitat is stunning and the wildlife that shares the preserve is memorable, not to mention the chauffeured three wheel bicycle ride! 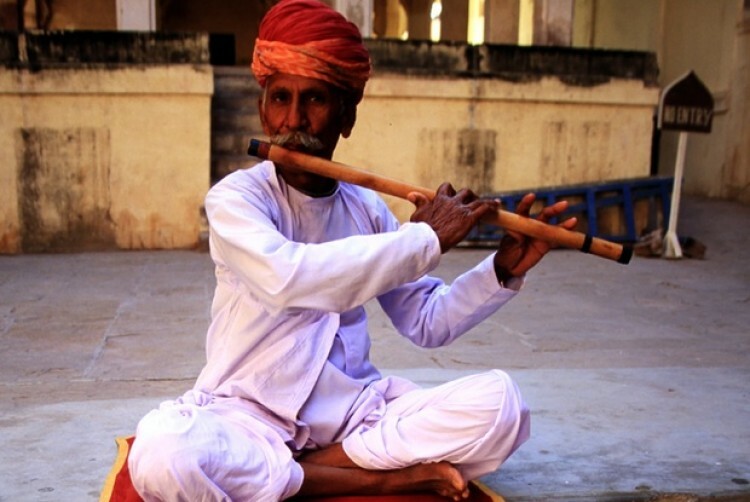 The amazing culture of India constantly stimulates. The caring Sikh peoples offer roadside masala tea for free and their temples feed thousands each day in Delhi. 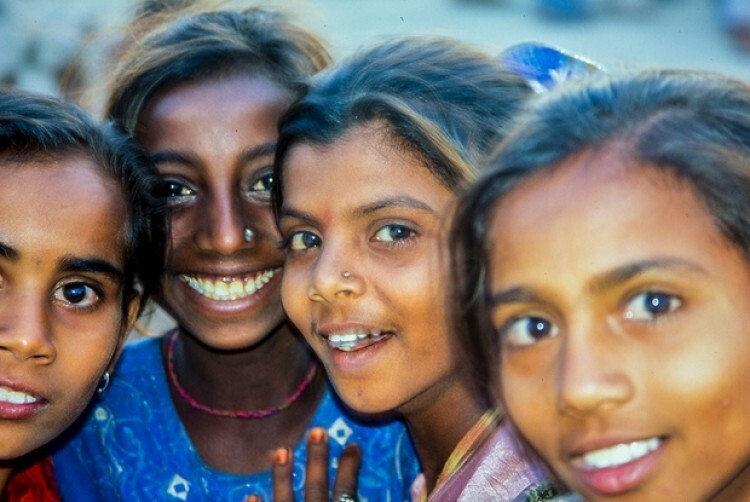 Buddhism, Islam, and Hindu lend to the religious fabric and special spirituality. Quality. The MotoDiscovery tour is more expensive, we know. 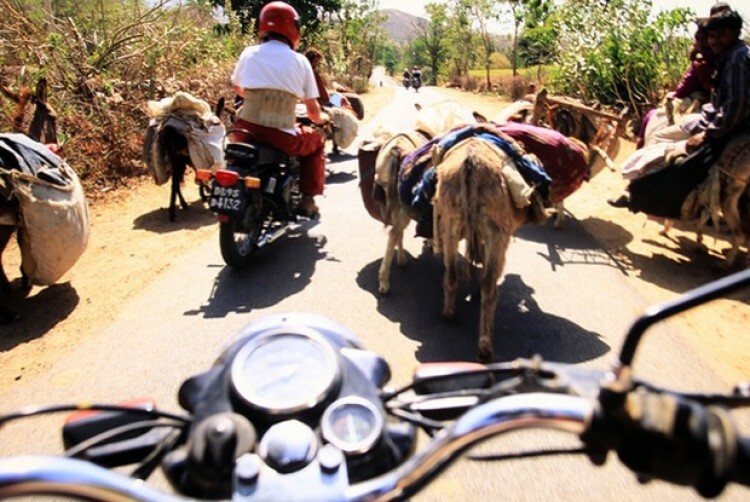 But with an abundance of low-end tour operators in India that cater to the “budget” crowd, you can be confident you are getting the best when you ride with us. Doing India on the cheap is possible. That is not how we roll at MotoDiscovery. Rental of fresh Royal Enfield 500 cc Bullet, the iconic motorcycle of India. Is this tour a good for couples? Yes. Definitely. It will be an adventure. 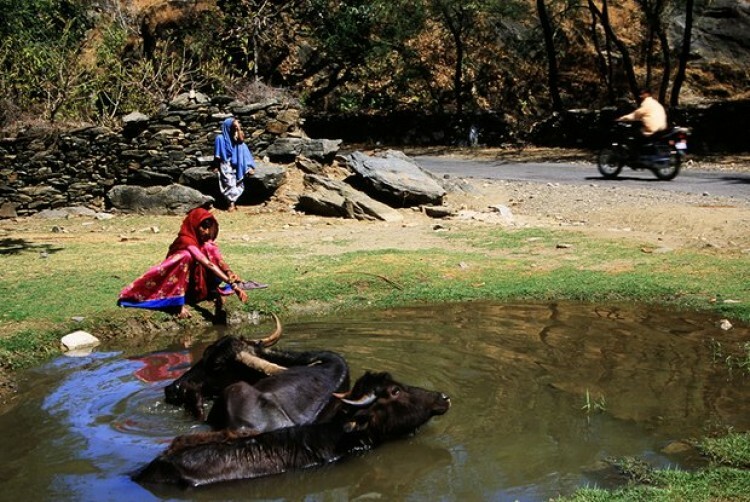 India is not for the timid however it has to be one of the most stimulating places on the planet. You will regret not sharing it with your loved one(s). 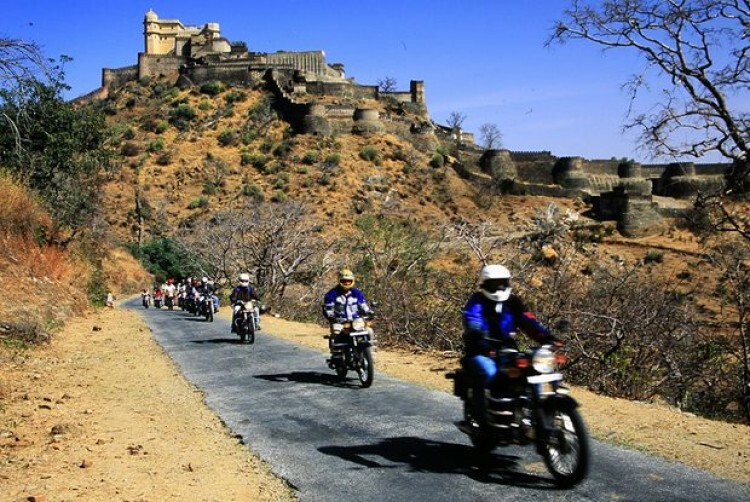 We consider India and the Rajasthan region to be safe though we must emphasize that any international travel especially on motorcycles, does come with a degree of risk. No political strife or dangers. We value your security. Count on our honesty on matters of your safety. There is a little adjusting to riding on the left but historically we find people quickly adapt. It is not as intimidating as you might think. Surfaces are at times irregular, however, the tour is largely on pavement, though it can be rough and with some potholes. Nothing you and the Royal Enfield can’t handle. What about the Royal Enfields? Maybe we are just romantics but we love this motorcycle. Easy to ride, unsophisticated and low to the ground with ample power and torque, the Enfield is a snap to fix. A new model (the Himalayan) will enter the fleet, anticipated in spring of 2017. It is more of an adventure bike with added suspension travel, better suited for rugged and unpaved roads. The bike is currently being tested. As we say on all of our exotic tours, if you are a “meat and potato” kind of eater, you will probably have to adjust. If you are an adventurous eater you will be in culinary heaven. Of course, curries dominate. We rarely have people do anything but rave about their dining experiences and the cuisine of Rajasthan is considered special even among Indians. We provide a comprehensive Information Booklet well in advance that covers such details but the answer is, no. You should have hepatitis inoculations and your tetanus and diphtheria current but none of this is required for entry to India. 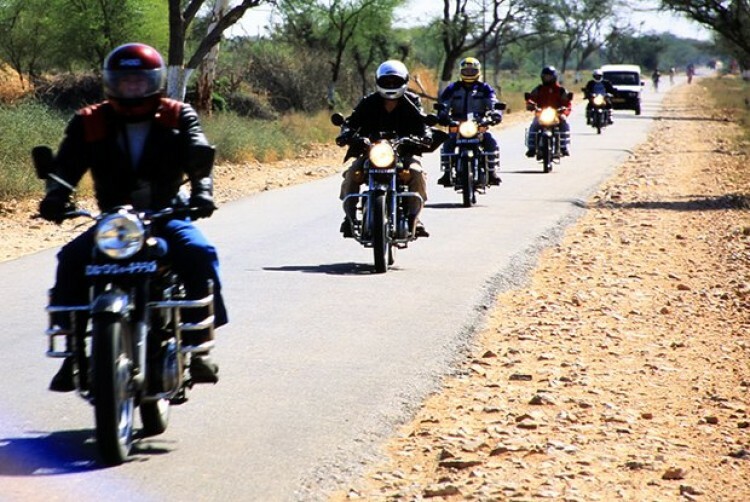 MotoDiscovery India tours run during optimum riding seasons. In this case, average daytime temperatures run into the mid to upper 80?°s F (29° C) cooling in the evening. This is not the rain season so you can expect it to be dry. Yes, but obtaining visas are a simple online task. We will advise you on how and when to best get your India visa. Book it now. The earlier the better. Advanced planning to secure the best accommodations and services is essential. Will MotoDiscovery create a private custom tour for me and my friends? Private custom tours are our specialty. 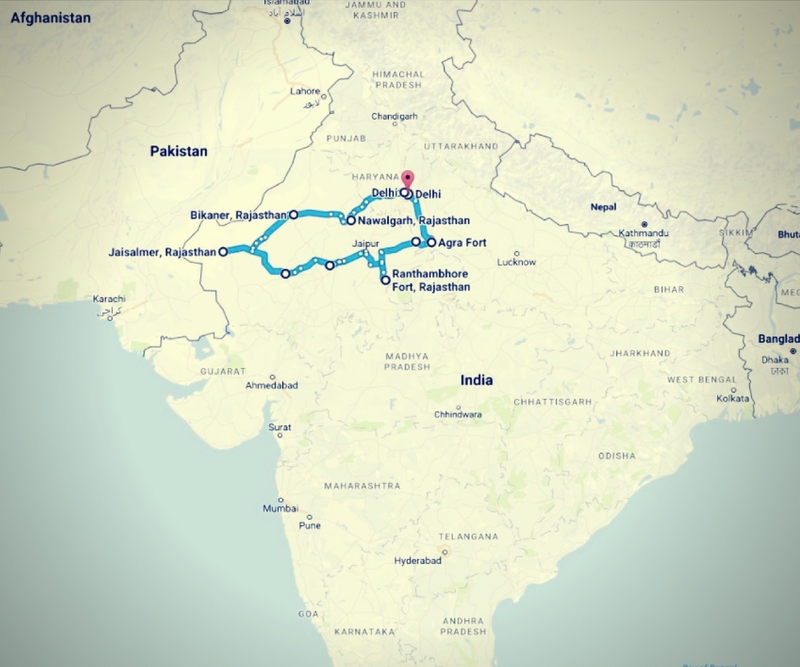 Usually, a minimum of 6 participants are required for India, and we can schedule dates, inclusions and make itinerary adjustments to meet your specific demands. Go to this link to begin your custom designed tour just for you and your friends.